Our “Flower Atelier” is located at the Interlomas Shopping Center (Centro Comercial Interlomas). It is a cheerful place full of flowers and fresh scents where we use our creativity and passion to design exclusive floral arrangements. We love flowers and what they make us feel. We love art and design. We specialize in creating exclusive and unique floral designs. We offer to our clients the latest trends in fine floral artistry. We listen and translate their whishes and needs creating outstanding flower décor that fill the senses. We are experts designing customized events. Whether you are planning an intimate gathering or a big celebration, the Fiorence Atelier team takes care of everything from floral pieces for dinner tables, buffets and entries, to all aspects of the planning, including table design and ambiance. Each one of our events is unique and memorable. For a personal consultation, please contact us: (55) 52 90 75 93, (55) 52 90 17 07 or 55 11 34 68 22. We truly believe that a harmonious space decorated with fresh plants and flowers increases our work potential and creativity making our offices, home and workplaces look infinitely more beautiful. As part of our corporate services, Fiorence Atelier offers weekly flower delivery, corporate event décor and holiday décor to agencies, offices, hotels and restaurants. Our menu of residential services include maintenance of plants and gardens in lobbies and open spaces, weekly fresh flower deliveries in receptions and common areas and at home. We also specialize in gorgeous private events and offer whole-home holiday decoration. Our concierge team will provide you the VIP luxury service you are looking for. We offer customized gift-giving options for every occasion. We specialize in creating magical gifts, from floral arrangements with 1000 roses to personal shopping according to your tastes and needs. For further information please contact us: (55) 52 90 75 93, (55) 52 90 17 07, 044 55 11 34 68 22. With over 25 years experience in the flower delivery business throughout the Mexican Republic, Fiorence Atelier is part of the brand Fiorence Flowers and Gifts. 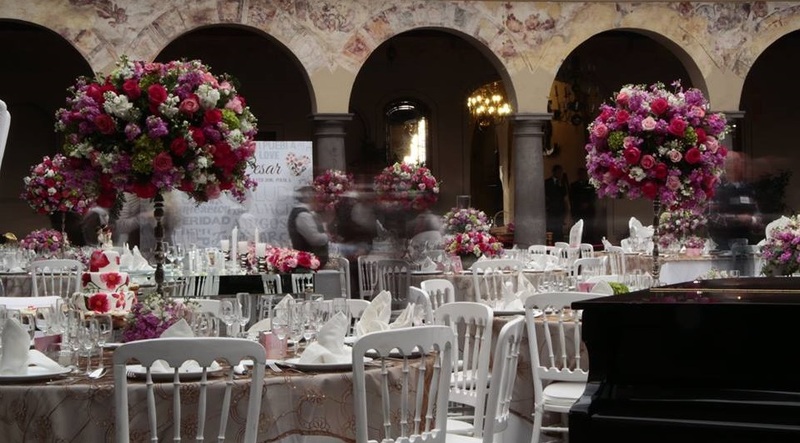 Fiorence Atelier offers flower delivery services in CDMX and the Metropolitan Area.